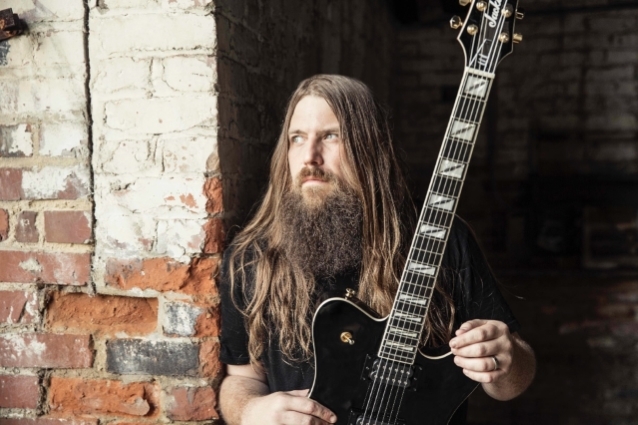 LAMB OF GOD guitarist Mark Morton recently appeared on the Detroit radio station 101 WRIF's "Talkin' Rock With Meltdown" podcast. The full conversation can be streamed below. A few excerpts follow (as transcribed by BLABBERMOUTH.NET). Mark: "That first Slash solo album is definitely kind of a template for at least the structure of how we did it, with all the different guest vocalists. That was the big thrill for me — having the opportunity to collaborate with these people, and to find that so many talented people would be so generous with their artistry, their creativity to come into this thing and work with me on it." Mark: "It's different. I've done quite a number of albums with LAMB OF GOD, and those are things that we all take very seriously and work very hard on, so in terms of the scope of the project, I don't know that it's any bigger or less big than those, but I can tell you that my level of attention to detail is definitely on a different level with this kind of project. There are so many decisions that normally might be spread out or allocated throughout the group when I'm just a member of the band, whereas on this one, everything sort of channels through me. That was a different level of commitment. The creative decisions, at least, all ended with me, and a lot of the work too — a lot of the promotional stuff, where normally I would [say], 'We'll let Randy [Blythe] do that one,' but I'm carrying all that stuff too. But it's cool — it's a privilege; it's an honor. I'm just excited that people care enough to want to talk to me about this project and want to check out the music I'm doing." Mark: "I don't know if I see it as taking on a [bigger] profile. With the LAMB thing, we kind of spread things out amongst us. Obviously, Randy's our singer and frontman, so he does carry more of the press stuff that kind of comes with the position, but we all do our share in that band, so I'm used to doing this stuff. There's just been a lot of it. It's been more concentrated. But I'm happy to do it — I'm grateful for the chance." Mark: "We didn't have any history before collaborating on the song. It was kind of, you know, [I] just took a shot at it. We had this song we had been working on, my producer and I, and we had this idea that Chester would sure sound great on it. I was a little skeptical that we would get his ear, but as it turns out, he was a fan of some of my work with LAMB, and I was able to get the song to him. He was interested in hearing it, and once he heard it, he was all the way in. From there, we corresponded about where it was coming from lyrically — what sort of direction we wanted the song to have, and then when we got in the studio, he had a notebook full of lyrics and vocal melodies, and I had the same. We talked about where we were coming from, mashed them together and wrote this song." 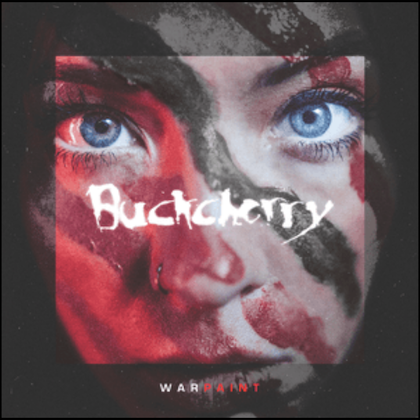 Mark: "It certainly had their blessing in terms of the release. We wouldn't have done that without their blessing. I haven't talked to Mike Shinoda directly about it, but he was on one of the social media [platforms] talking about how much he dug the song, and talking about how Chester had played it for him when the rough mixes came back and how excited Chester was about it. I thought that was real cool of Mike to share that." Mark: "I don't know that I learned anything about the recording process. The takeaway for me was how humbled I was that so many of these great artists would want to even collaborate with me. There was so many cases where I reached out kind of sheepishly, not even sure if somebody would even want to hear the song, and every time, to come back with a yes — 'Yes, I'd love to work on it' — it was really humbling. That, to me, was the big takeaway — the thrill of being able to make music with all these great artists." Mark: "Honestly, I am a little bit surprised. I knew we had some cool songs, and I was really excited about doing it, but it's really become kind of a bigger deal than what I'd anticipated. It's just awesome that the music reaches people, touches people and they're responding to it like that. I'm just happy to be a part of these songs and to have had the experience of working with so many great people. It's a thrill to watch it go." Mark: "They seem to be really into it. We did include some heavier stuff — some thrash metal stuff. Originally, I was going to steer clear of that stuff because I do so much of it with LAMB, and the premise of this project was to stretch out and do things a little bit more diverse stylistically, but my producer kind of prompted me, prodded me a little bit to put some more traditional kind of thrash metal into this for the LAMB fans, and I think it wound up being the right call." Mark: "That's still definitely my priority musically. We've got a lot going on. We're pretty deep into writing a new record and [have] quite a bit of touring — three weeks in North America starting in May, and then we go to Europe for another few weeks in June and July. [There's] plenty of work to do this year." "Anesthetic" was released on March 1 via Spinefarm. 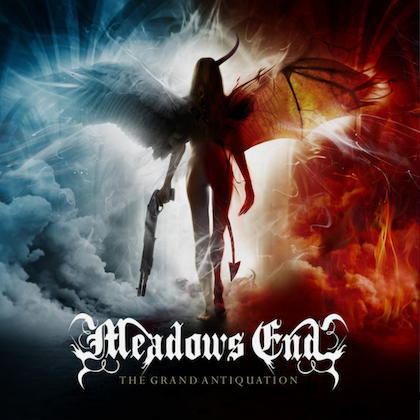 In addition to Bennington and Blythe, the album features guest vocals by Josh Todd (BUCKCHERRY), Myles Kennedy (SLASH, ALTER BRIDGE), Jake Oni (ONI), Alissa White-Gluz (ARCH ENEMY), Jacoby Shaddix (PAPA ROACH), Mark Lanegan (SCREAMING TREES), Chuck Billy (TESTAMENT), Mark Morales (SONS OF TEXAS) and Naeemah Maddox. Musically, Morton performs all guitars, with Roy Mayorga (STONE SOUR), David Ellefson (MEGADETH), Ray Luzier (KORN), Paolo Gregoletto (TRIVIUM), Alex Bent (TRIVIUM), Mike Inez (ALICE IN CHAINS), Jean-Paul Gaster (CLUTCH), Steve Gorman and Marc Paul rounding out the band. For his tour in support of "Anesthetic", Morton recruited Morales, guitarist Doc Coyle (BAD WOLVES, ex-GOD FORBID), bassist Nick Villarreal (SONS OF TEXAS) and drummer Art Cruz (PRONG, WINDS OF PLAGUE, LAMB OF GOD). The 10-date trek, which kicked off March 13 in Richmond, Virginia, is co-headlined by LIGHT THE TORCH and also features openers MOON TOOTH.